and the perpetrators got away with it. A beautful soul who pursued humanity, liberty and justice was murdered on March 16, 2003 by a member of the IDF. You can read about Rachel's story here. Don't worry, I have not given up on the cause of Justice. I am still around. Check out my Twitter feed below. Here are some of the latest articles having to do with Israel's continued attempts to get the United States to commit to a war with Iran. Entangled With Israel by Philip Giraldi. His article is a must read. ... Israel is by its own volition not an ally of the United States in any technical sense because alliances are troublesome things that require rules of engagement and reciprocity, limiting the partners’ ability to act independently. If Israel obtains a virtual commitment from the United States to go to war in 2013, it would mean that Tel Aviv would enjoy the benefits of having a powerful patron to do its fighting without any obligation in return, beyond delaying unilateral military action until a more suitable time. A guarantee from Washington for Israel’s security which still permits unilateral action by Tel Aviv is all too reminiscent of the entangling arrangements that led to World War I. The International Atomic Energy Agency (IAEA) report made public Thursday reveals that Iran has actually reduced the amount of 20-percent enriched uranium available for any possible “breakout” to weapons grade enrichment over the last three months rather than increasing it. ....But although that reduction of the stockpile of enriched uranium of greatest concern to the United States was the real significance of the new report, it was not conveyed by the headlines and leads in news media coverage. Those stories focused instead on the fact that production of 20-percent enriched uranium had increased, and that the number of centrifuges at the underground facility at Fordow had doubled. “Nobody has put out the story that their stockpile is shrinking,” said Joe Cirincione, president of the Ploughshares Fund and a leading independent specialist on nuclear weapons policy, in an interview with IPS. ...Administration officials have also made clear they regard the prospect of an Israeli attack on Iran with alarm. General Martin Dempsey, chairman of the Joint Chiefs of Staff, was quoted in Britain's Guardian newspaper as saying of a prospective Israeli attack on Iran: "I don't want to be complicit if they choose to do it." United States intelligence officials have said they have no evidence that Iran’s top leaders have decided to take the final steps toward a weapon. Iran’s intentions remain unclear, intelligence officials say. Last week, the International Atomic Energy Agency reported an increase in the number of centrifuges that Iran has installed in an underground enrichment plant that is largely invulnerable to Israeli attack, but also indicated that Iran has converted some of its most highly enriched fuel to a form that would be difficult to use in a weapon. It is becoming abundantly clear that the US is not too keen on going along with Netanyahu's demands. And that is a good thing. I hope top military brass and anyone else in our government protest in the clearest possible terms that our interests must remain in the fore in this ongoing battle with Israel over its insistence that America go along with its plans to attack Iran. Let us keep in mind George Washington's wise words in his Farewell Address which can be found found here. Additionally, Patrick J. Buchanan weighs in (as he has done several times in recent weeks) on the same issue in an article entitled ‘The Most Dangerous Man in the World’? Giraldi and Buchanan are of the scant few political commentators in America that dare speak the truth on this issue. God bless 'em. I'm too pissed off to comment. I'll just leave you with the byline to the article. I'd like to see mutiny by top US military brass and CIA over any government support of Israel's coveted war with Iran. The front-page report in the biggest-selling daily Yedioth Ahronoth came amid mounting speculation - fuelled by media leaks from both the government and its detractors at home and abroad - that war with Iran could be imminent even though it might rupture the bedrock ties between Israel and the United States. On Thursday, Israel's Haaretz newspaper reported that Obama had received a new National Intelligence Estimate (NIE)—the consensus assessment of the American intelligence community—that "Iran has made surprising, notable progress in the research and development of key components of its military nuclear program." The daily cited unnamed "Western diplomats and Israeli officials." Carney declined to comment on the news report, but some American officials bristled at what they saw as a naked Israeli effort to pressure Washington into taking a more hawkish line. An excellent piece by the Associated Press regarding America's distrust of Israel when it comes to espionage. Frankly, I'm surprised that such content matter made it to print, although I'm sure most American mainstream news media buried it. I archived it at my Neocon Watch blog in case it disappears, as is sometimes the case with related material on Israel. 07-18-12 - Israel finally going to start WW3 ? "This is an Iranian terror attack that is spreading throughout the entire world. Israel will react powerfully against Iranian terror [said Netanyahu]"
"A U.S. navy ship that had been slated for decommissioning has been sent instead to the Gulf to help mine-clearing operations, the U.S. Fifth Fleet based in Bahrain said, the latest move in a gradual U.S. build-up as tensions with Iran smoulder." Where is your outrage, my fellow Americans? 06-04-12 - 45 years on, justice still not served. It has now been ten years since I first learned of Israel's attack on the USS Liberty - I saw a special about it on The History Channel in 2002. Since then, I haven't shut up about it. Friday June 8 marks the 45th anniversary of the assault. Most Americans know nothing of this attack, nor is it widely commemorated like it is in the case of the USS Cole and other assaults on American servicemen. In fact, recently John McCain calls a heckler a 'jerk' when he asks McCain about the USS Liberty. McCain (and his father) are noted Israel supporters. The 'Raw Story' news outfit subsequently branded Morris and all those that take the side of the USS Liberty survivors as 'conspiracy theorists'. The neocon/Israeli plans for the United States to attack Iran (and Syria) have been in place for years. 09-25-11 - I am still here, I just had to change servers for the first time in years. It is a very time consuming process to gather up and ftp to the server all of the material. Frankly, many of the older links are broken because I've had this website now for nearly 8.5 years. I am still indexing new content but that too will take a while before I can get that all up on the server. Stay tuned. And to those that think they are going to stop me because they don't like my message: that'll be the day. 07-28-11 - New news links on Palestine and Neocon Watch pages. For which country is she seeking to serve? Bachmann is dead wrong on Israel and America sharing the same values. America is a nation that affords liberty and justice FOR ALL. Bachmann is also LYING when she said that Americans support her view on Israel. She evidently didn't see these two polls from 2010 which state that only 2/3 of the American people want to take Israel's side in that conflict. It's when Israel killed 34 Americans in an attack by air and by sea that lasted for 75 minutes. In honor of the unsung heroism of those aboard the USS Liberty. I happened to catch a few minutes of the Glenn Beck show, a show I never watch, two nights ago. He was discussing Israel and expressing consternation that anyone would dare criticize that nation, particularly when neighboring countries such as Syria shoot their own people (protesters). He then went on to allege that Israel never shoots protesters. During the first intifada, Israel killed hundreds of children, and maimed 40,000 more. During the 50's, in a place called Kafr Kassem, Israel had imposed a curfew on the villagers - unbeknownst to them - and then gunned down those in violation thereof - including children, killing 49. Then there's the time that Ariel Sharon visited the Temple Mount in 2000. The Israelis killed 13 Arab protesters a few days later. There are numerous examples of Israel's killing of civilians - protesters or otherwise. For example, Rachel Corrie, an American citizen, was protesting the home demolitions along the Rafah border. An Israeli bulldozer ran her over - twice. No action was taken by the American government. Glenn Beck - get your facts straight next time you open your mouth. No one at Fox News (owned and operated by Christian Zionist Rupert Murdoch) will correct you, but rest assured, this Republican writer is more than up to the task. 06-02-11 - New news links on Palestine and Neocon Watch pages. 03-31-11 - Several months ago arrests were made in the Kristine Luken murder case. I still don't buy the official story (courtesy of the Israeli officials), nor do I believe the motive allegedly given by the suspects in this case. 01-09-11 - 3 weeks after Kristine Luken's body was discovered, and 2.5 weeks after Israeli police arrested 2 suspects - the media blackout remains and it extends to the mainstream media in America. Not one reporter or member of government seems to question this blackout, nor do they question the identities of the men that Israel arrested. If these men were Arab, then by now we would know their names, places of origin and all manner of information. Each day that the silence continues reinforces my belief that the men arrested were not Arab. 01-02-11 - Here it is 2 weeks after Israeli police found Kristine Luken's body, and 1.5 weeks after they made an arrest, and according to a search at Google News, the media blackout over the arrests continues. Of interest is this recent story at Haaretz that further details how Wilson's story was not believed. 12-29-10 - Still no updates or even any mention of the arrests in the US media, this, one week later after alleged arrests by Israeli police of 2 suspects in this case. The really scary thing here is that no American media outlet even QUESTIONS this continued media blackout of what really happened to Kristine Luken and by whom. Our media are in complete obedience to Israel. Not one reporter dare ask who are these men that Israel arrested, what are their names, where were they from. None of this information has been made available, seven days after the arrests. 12-27-10 - Update: still no mention of the arrest by Israeli police of the 2 men last Wednesday. The only thing being reported in the Google News index is that Ms. Luken's body was flown back home to the US for burial. If the men Israel arrested were Arab, we would know that by now, as is usually the case when Arabs commit such a crime: it's headline news here in the US. Something still stinks about this story. 12-23-10 - Update nearly 24 hours after arrest: The Jerusalem Post completely removed the story I linked to below, and replaced the entire story. One can still see the original headline and byline in the Google News Index at the time of this writing. Whoops, sounds like the public wasn't supposed to know about the arrests. The question is : WHY? - Update - 12 hours later after reporting the arrests made: The gag order must extend to the US press because no American agencies are reporting this, in fact, the silence is (still) deafening. No mention is made whatsoever in the US media, save for a repeat on a Fox News affiliate of what the JP reported last night. Two men allegedly involved in the stabbing of two women, one fatally, near Beit Shemesh on Saturday have been apprehended. Police are maintaining a media blackout on the investigation, though they said they believe the attack was nationalistically motivated and not a random act of violence. Why are they STILL maintaining a media blackout? Israeli police have issued a gag order on the case since Sunday. The Israeli police were having trouble believing Kaye Wilson, the survivor of the attack. Both Kaye Wilson and Kristine Luken worked for Church's Ministry Among Jewish People, "a group that tries to get Jews to accept Christ as their savior.". This can be a very dangerous thing to do even in Israel. See Bomb raises fear of Jews persecuting Jews . 01-04-11 - New news links on Palestine and Neocon Watch pages. The peace talks recently broke down because Netanyahu refuses to stop building settlements in Jerusalem. This has been widely reported in the US press now for a while. Now here's where it gets interesting - this story of an American tourist who gets murdered by Arabs as she and her friend were innocently hiking around of all places, Jerusalem. Americans no longer see Israel as the obstacle to peace, when those pesky Arabs murder one of their own. Israel should Judaize all of Jerusalem as a result. 12-07-10 - The Special Relationship with Israel: Is It Worth the Costs? by Scott McConnell, founding editor of The American Conservative. Please read it all, if you can. ABC Nightly News just ran a Wikileaks story exposing terror funding during which they showed documents exposing bank transactions from countries not clamping down on this funding. I spied some transactions from Tel Aviv in the list (a few times) of the document but yet no mention of this in the report or any other that I can find in the Google News index. Stay tuned, maybe an independent agency will pick up this story, as one would expect in any case involving negative publicity for Israel. Our media would be most unlikely to touch it. - a great article out this week by former CIA Philip Giraldi deals with a recent letter Sarah Palin penned to Congress, evidently on behalf of her Neocon puppetmasters. Neoconservative policies are not in the interests of the AMERICAN people. They in fact endanger us. None of the 911 hijackers, nor the 911 mastermind Khaled Shaikh Mohammed, and not even OBL himself gave Islam, American freedoms, or the liberation of our women as their motivation for the attack. Most of them gave US support of Israel as the primary motivation (for KSM and many of the hijackers, it's also one of the main reasons for OBL's 1990's fatwa against the US). See the 911 Commission report, pages 1-80 of The Shadow Factory: The Ultra-Secret NSA from 9/11 to the Eavesdropping on America by James Bamford, and OBL's fatwa against the US (available online) for more information. Anyone that tells you that we were attacked because of our freedoms, or because we're infidels or any other such nonsense is either grossly misinformed or a liar. Does this mean that we should cease support of Israel to appease terrorists? NO. Israel's wholesale violation of international and humanitarian law is reason enough to stop supporting them. This was highly predictable, and not a surprise given who is holding the reins on Capitol Hill. 09-30-10 - According to a new poll, 2/3 of the American people want to stay neutral, and not take sides in the Israeli-Palestinian conflict. Yet, just about the entire Congress and Senate are squarely behind Israel almost all of the time, often putting Israel's interests AHEAD OF OUR OWN. They DO NOT REPRESENT US. Do you remember the slogan 'No taxation without representation'? Where are the Tea Partiers on this issue? They are conspicuously SILENT on one of the biggest threats to American democracy this nation has ever seen. 09-20-10 - You know what? My country is America, and it's the only country I've got. I will never salute or kowtow to any other flag. I could never support anyone or group that sells out the interests of America in favor of another country. It just isn't going to happen. That is treason. Our legislators, representatives and any others who kowtow to Israel who would rob my fellow Americans of precious taxpayer dollars in this destitute economic climate in order to continue to arm (as one example) the most rogue nation in the Middle East in terms of human rights violations and international law (look them up), that nation being Israel, are acting like traitors. I can't see how any real American would support that. 08-10-10 - Buchanan writes article last week about Congressional resolution to give Israel the green light to strike Iran. The mainstream media still refuse to give this story any coverage. 08-05-10 - Phil Giraldi writes another article about Congress' probable approval of an Israeli strike on Iran. The mainstream media has still thus far ignored any mention of this story and its grave implications for our troops and missions in the region should Israel indeed attack Iran. 08-04-10 - The mainstream American media refuses to pick up on story that Congress is about to give the green light for war on Iran. Intelligence veterans issue press release today, a week after Phil Giraldi's article in The American Conservative, and the mainstream media still refuses to report on this matter. 08-04-10 - New news links on Palestine and Neocon Watch pages. According to this report at The American Conservative by former CIA counterrorism officer Phil Giraldi, Israel's representatives (they're certainly not ours) on Capitol Hill are taking us to war again, this time with Iran. How? By OK'ing an Israeli strike on Iran, they are effectively ensuring American participation in said strike, because it would automatically imply American involvement. This puts our troops in the region in grave danger. While we're on the subject of The American Conservative, please donate if you can. They are in need of your support. 07-05-10 - Long Island Rep. Pete King says House Dems forced to choose between Israel and Obama - NYPOST.com Rep. Pete King says President Obama's weak Mideast policy is forcing House Democrats to make the difficult choice of either supporting Obama or supporting Israel. "I hope they put our relationship with Israel above their relationship with Obama," King (R-LI) said yesterday. Do Americans fully understand the treason within that statement? 07-02-10 - A friend told me that a week ago today on June 25th, Sean Hannity had a caller on his radio program that brought up the USS Liberty. Sean Hannity evidently went full throttle into 'defend Israel' mode and proceeded to repeat the Israeli propaganda regarding that incident, rather than stick up for the AMERICAN (sailors) that were viciously attacked. I Googled around and found some forum posts that referred to this Hannity program, but they have since disappeared. Here is the audio clip and you can decide for yourself. 06-29-10 - The Council for the National Interest had on its radio program USS Liberty survivor Ron Kukal a few weeks ago. You can listen to the archived version of this broadcast : part 1, part 2, part 3, part 4. General Patton Museum plans veteran tribute Fellow desert veteran Navy Capt. William McGonagle, who earned his medal in 1967 as commanding officer of the USS Liberty, is also recognized in the exhibit. McGonagle is a graduate of Coachella Valley High School. 06-13-10 - Really, Rep. Peter King(NY)? New legislation for America to 'stand with Israel'? As if we don't have enough legislation already enacted on behalf of that nation by 'our representatives' on Capitol Hill? As if the United States doesn't have enough problems of ITS OWN such as the budget crisis in New York State, as one example, such that there might be a shutdown of state government as early as tomorrow? We have to sit around and worry about Israel and any action taken by the UN Human Rights Council with respect to the numerous war crimes Israel has committed in Gaza, and elsewhere? Just exactly who does Representative King represent here? Ever hear of the saying, 'No taxation without representation', Representative King? 06-07-10 - You can say what you want in this country about Muslims or Christians (recall that feces-splattered painting of the Virgin Mary of some years back as one example), but boy, if you say anything about Israel or Jews, you're done for. Helen Thomas- one would've thought she had committed an act of terrorism given the response to what she said about the Israeli Jews. It even prompted the president of the 'land of the free' to dress her down, a testament to the power of the Israeli lobby. Furthermore, Israel-supporters all the time suggest that the Palestinians go live in Jordan, which they believe is the true Palestinian state, and that's not the only thing they say. But nobody utters a word about it, certainly not the president of the United States. Thomas was forced to resign earlier today from Hearst News Service - as, you can bet Hearst would've bowed to the overwhelming pressure to fire her. 06-06-10 - It was June 8, 1967 when Israel napalmed USS Liberty crewmen in an attack by air and by sea that lasted for 75 minutes leaving 34 dead and 170 wounded. Like the ships Israel recently attacked, the USS Liberty was in INTERNATIONAL WATERS. Find out the truth (from the survivors) and most importantly, HONOR THEIR HEROISM, for it was their sheer bravery that prevented Israel from sinking that ship and killing ALL ABOARD. Tell everyone you know about it. These men deserve to be HONORED as the HEROES that they are. Take a moment to read their website at USSLiberty.org (now redirects). 06-05-10 - Brad Sherman shows his true colors - and they are blue and white (Israeli flag), not red white and blue. Rather than take the side of Americans - some of whom were wounded by the Israelis during an offensive attack in international waters, he's taking the side of Israel. I call this TREASON. Read Pat Buchanan's take on the attack here, and also a short note on the treatment of Ambassador Peck here. 06-02-10 - USS Liberty veteran is back on American soil. For more information, click here. 06-01-10 - One last quick update - Joe Meadors, a survivor of Israel's attack on the USS Liberty was aboard one of the ships destined for Gaza, and may be in Israeli custody. Read on at the bottom of this article by the Associated Press. His former shipmate John Hrankowski is very worried about him - according to this article. If this were an American boat in international waters and the Iranian commandos had done what the Israelis did, we'd consider it an ACT OF WAR. That goes for any other Muslim nation as well. The Israelis and their defenders claim self defense in this attack on a civilian vessel in international waters. But their claims that these people were Hamas or Al Qaeda supporters who may have been shipping munitions to Gaza fall flat in the face of the fact that the Israeli commandos boarded armed with PAINTBALL GUNS. The Israelis and their defenders seem to believe that since these shipgoers actually defended themselves, that this was somehow an act of self defense on the part of the Israeli commandos. Come on, really? If I were aboard a ship in international waters and these commandos (or any others like them) came at me like that, I'd defend myself in any way possible as these shipgoers did. They had every right. They were not in Israeli naval space. They were in INTERNATIONAL WATER. Another critical piece of information came through the pipeline today as well: there were AMERICANS on board that ship, and some of them were wounded. Watch the nonreaction by our government in the face of that fact. After all, this is Israel we are talking about here. And we wouldn't want to go against our overlords, the Israeli lobby. 05-31-10 - The Israelis attacked another ship - this time a civilian one - in INTERNATIONAL waters today, killing as many as 10, maybe more. This somewhat resembles the attack on the USS Liberty because this ship too was in international waters, but it was not military (even though the USS Liberty only had four mounted .50 caliber machine guns for protection). For more information, click here. 05-19-10 - A must watch video for my fellow Americans: Extremists rally in NYC for modern day Lebensraum - note that there are a few of our politicians in attendance as well. This is comical and yet sad. 04-13-10 - Palestinian Christians locked out of Jerusalem - Short video from Yahoo News from last week. 03-13-10 - Many Voices Calling for War with Iran - great article detailing who's calling for the US to attack Iran, and why, by former CIA Philip Giraldi. We gave warnings just before the invasion of Iraq, and when we did so, we were treated as traitors because, 'either you are with us, or you are with the terrorists'. But within one year after the invasion, the rest of America learned that there were no WMDs in Iraq. Nor was there any link between Iraq and 9/11. In short, we were right. And anyone can look back into the pages of this website to bear this out. For the past several years, the same crowd that got us into Iraq has been beating the war drums for an attack on Iran, and lately, they have been beating ever louder. Here we go again. The results of the gallup poll cited in this article demonstrate that the American people now believe that Iran in fact is a threat to us. How did that happen? It happened because the politicians and the media are once again pandering to the interests of the Israeli lobby, who have worked tirelessly to make Israel's problems our problems. It's evident in this video(over half way through) depicting Monica Crowley groveling to and along with Mort Zuckerman (a known pro-Israeli) and the AIPAC crowd when she displays her near-hysteric concern over Iran's alleged nuclear program (which, according to our own intelligence officials, is still not off the ground, let alone producing nuclear weapons). One man - as was the case back in early '03 with the article Whose War? - stands alone in asserting America's interests- rather America's non-interests- in Israel's wars. Patrick J. Buchanan gets the last and best word about the matter ('Iran is no threat whatsoever to the United States of America') in that video from last weekend's edition of The McLaughlin Group. Buchanan further describes why Iran is not a threat to us in this article. So, when the bombs start falling on Iran, and the price of gas becomes prohibitively high (jeopardizing an already delicate American economic recovery) , as more Americans become homeless and jobless, don't say we didn't tell you so this time. Take a step back from your American Idol and take a look at what this nation has become; a stoolie for Israel. George Washington is rolling in his grave. 02-11-10 - Palin: Obama should attack Iran for Israel. Similar article found at the American Conservative blog here. Palin’s passion (for America’s best interests) is as genuine as her belief in the ‘hopey changey’ stuff. God bless her for capitalizing on her newfound fame and good looks, she has every right. She should take the ride for as long as she can. And speaking of wars fought on Israel's behalf, you really need to take the time to read this thorough article by one of the author's of the Israeli Lobby, Stephen Walt. The article can be found found here. 02-05-10 - A tale of two articles on the respected Jewish news website, The Forward. In this article, the author suggests that pro-Israel money only merely 'steers', not drives, US foreign policy. Oh. Ok.
Now read this article. Hmm. We have Abe Foxman (of the ADL - another agent of Israel) gloating about getting the Obama administration to stop putting pressure on Israel. Note the about face by Clinton as well when faced with this influence by the Israeli lobby. So to respond to the first article. No, the Israeli lobby does not 'steer' US foreign policy. It is planted square in the driver's seat. And the rest of us Americans (the majority having no real vested interest in Israel) are being taken along unwittingly and unwillingly and to our detriment - on a ride that has cost us in more ways than one. 01-24-10 - In accordance with Israeli behavior since its inception and even before, Israel demonstrates yet again that it is more interested in keeping piece - as in another piece of Palestine -than it is in any real peace agreement. And to further the points made in the Scheuer video linked in the next entry, here is yet another example of why 'they hate us' - it has nothing to do with 'our freedoms'. Former CIA official Ray McGovern also points out the real reason for enmity against the US in this recent article. Lastly, an article out today in the Israeli Haaretz paper headlines "Bin Laden: Attacks on U.S. to go on as long as it supports Israel". Anyone that tells us Americans that we are attacked for our freedoms is either grossly misinformed, or a liar. 01-23-10 - If you haven't yet seen it, you can catch former CIA Michael Scheuer on this recent CSpan program on terror threats to America. He gives you the truth that you aren't getting from the politicians or the media. I know it's long but do yourself a favor - watch the whole thing. *Former CIA counterterrorism official Philip Giraldi's articles on the blog at The American Conservative found at this link. *Philip Giraldi also often writes articles, and pens the column Deep Background available in the pages of The American Conservative found at this link. *Philip Giraldi's column at Antiwar.com found at this link. *Former CIA counterterrorism official Michael Scheuer's articles at Antiwar.com found at this link. These guys likely learned (perhaps even the hard way) of the truth about Israel both on the job and off. Their views are spot on. Please do yourself a favor, get the facts that you aren't getting from the mainstream media and American politicians (who long ago sold us out to the Israeli lobby). And then, spread the word. The survival of America depends on it, lest we keep getting bled dry sending billions of dollars overseas and participating in wars based on bogus and cherrypicked intelligence (and those that cooked that intel, the neocons, are part of this Israeli lobby). Scheuer said it best in the aforementioned CSpan video - support for Israel is not a strategic interest to the United States. To the contrary, our support of Israel is actually a detriment to the American national interest. And this support is largely due to the efforts of the Israeli lobby. This writer does not believe in appeasement of terrorists - that's not what this is all about. We shouldn't be supporting Israel and its policies of apartheid, terrorism and colonialism irrespective of any terrorism against us. These policies do not comport with the ideals upon which this nation was founded - those being liberty and justice for all. Philip Giraldi, Michael Scheuer and a host of others, myself included, have the interests of the American people at heart - not some other foreign nation or entity. Our interests MUST come first. It's too bad that our politicians in Washington do not take this view - not when it comes to Israel. No taxation without representation - remember that slogan? Well it pertains now. We are shoveling billions of dollars to the Middle East - in many different ways, some peripheral - in support for Israel and its policies. That money frankly could be better spent at home. It garners us hatred and vitriol in that region and beyond. It is wholly unncessary. Israel needs to learn to get along with its neighbors - stop stealing the land, and occupying the people by denying them freedom - if it wants to survive and flourish. Anyway, it is really not our problem. Our problem is America, and we need to take care of business here at home, and stay out of foreign entanglements that have cost us dearly - in more ways than one. Heed George Washington's words towards the end of this page, and be warned of the perils of the passionate attachment to a foreign nation, and all of the evils it brings. I'm just trying to look out for America - the ONLY country I've got. 11-27-09 - Threats of war - More US officials doing Israel's bidding - this time, trying to pursuade China to back action on Iran. Israel threatens to attack Iran if China doesn't support forthcoming UN action on Iran. 11-25-09 - Sarah Palin expresses support for Israeli settlements. 07-03-09 - America needs another Independence Day - independence from Israel. 07-02-09 - Amnesty International: Israel committed war crimes in Gaza - Israel also committed war crimes against US military - which have gone unpunished for over 40 years. 06-08-09 - 42 years ago today our men were attacked by Israel. 34 were killed, 174 were wounded. Israel and its lobby here in the States have used every means necessary to quash this story and ensure justice is denied to these men and their survivors. Which mainstream American news agencies reported this anniversary? Any at all? Sadly, almost none. 06-02-09 - Israel wants PIECE not PEACE - as in, another PIECE of Palestine. The only peace Israel wants is the peace with which it can continue to steal Palestinian land (using the 'terrorism' excuse) - and clear Palestinians off of it. American taxpayers pay the price - in more ways than one. 05-31-09 - Spy for Israel receives 'justice' from America - a sick joke. Even if they finally do get prosecuted, these traitors receive a slap on the wrist in the American justice system. 05-02-09 - Feds drop the case against the former AIPAC officials - the Israeli Lobby wins again (and America loses). 04-19-09 - Some of the ironies of the Demjanjuk case were raised by Patrick Buchanan in an article entitled 'The True Haters' - an interesting read. Too bad our government doesn't pursue those who have committed war crimes against OUR OWN with the same vigor that it is pursuing the alleged war crimes of this man. One gets a clearer picture of just who pulls the strings in this country when our government is trying to deport sickly, wheelchair-bound 90-year old men for alleged crimes committed 60 years ago in another country against citizens of another country, and they do not go after those who have committed war crimes on June 8, 1967 against AMERICANS. 04-09-09 - New York State is poised to layoff thousands of state workers because that government grossly overspent taxpayer's hard-earned money, and would rather hand out pink slips to hard working people than trim the fat from the budget. One such item of pork the State of New York wasted money on: bonds from the State of Israel, to the tune of 15 million dollars in 2008 alone. "On September 18, 2008, the city and state of New York each announced their intention to purchase $15 million in Israel bonds." Source: Wikipedia. As Americans struggle to keep their homes, jobs and to put food on the table, taxpayers are being forced (where was the referendum on it? AIPAC-beholden-Congress decided for you.) to shovel billions in taxpayer money to the state of Israel. Some of this money goes to fund illegal settlements (violation of Article 49, Fourth Geneva Conventions) which are built for Jews only - an exercise in supremacism that wouldn't stand the light of day in the good ole USA. See also, Special tax write-offs, US Aid to Israel, More on US Aid to Israel. 04-6-09 - A must read - Stop Arming Israel, by former CIA Philip Giraldi. I conjure you to read it my fellow citizens. 03-22-09 - The Israeli Lobby claims another victim - Charles Freeman, Jr.. But shhhh...this lobby is non-existent, a big conspiracy theory....nothing to see here, move along. Seriously folks, America would be a much richer place - in more ways than one - if we ceased aiding and abetting the criminal state of Israel - and if we sidelined/jettisoned its minions here in the United States whose support of that nation borders on, if not constitutes (in many cases), treason. Sixty years on, Israel needs to be weaned off the American taxpayer teat (Americans can scarcely afford to put food on the table let alone fund this kingdom built largely on stolen Arab land and which is based on religious supremacy), and to learn to get along with its neighbors which would entail the cessation of the illegal theft and occupation of Arab land. Israel's biggest enemy: Israel. The arrogance far exceeds the intelligence. Shame. 11-06-08 - Let's hope Obama gives Colin Powell a place in his new administration. 11-05-08 - Americans wholeheartedly and categorically rejected the policies of the Bush administration in an election of historical purportions - the vote heard around the world. Let's hope Obama keeps the neocons and their disastrous policies at bay. And fellow Republicans, Obama IS the better choice rather than McCain whose administration would have likely mirrored that of Bush. 11-02-08 - James Bamford has a new book out that has Israel's amen corner all in a tizzy. Hmmm. Very interesting. 11-01-08 - Vote Palin/McCain if you want more of the same Bush administration (neocon) policy. 09-18-08 - As I was perusing the most popular stories on Yahoo News just now, I noticed this ad in the upper right corner advising to 'Stop Nuclear Iran'. I went to the website - http://unitedagainstnucleariran.com/ - and also looked up the whois information. The individual who runs the site out of Rockefeller Center in NYC, Henley MacIntyre, is also mentioned in this blog post. You may want to note the neocon/pro-Israel ties that are naturally involved when it comes to groups such as this that want to 'stop Iran'. Be warned - you are being propagandized. 09/07/08 - There are those that defend Israel's stance that Iran must not have nukes, and should therefore be attacked by the US since they are allegedly building a nuclear weapons program. For one reason, these folks claim, it's because Iran has threatened to 'wipe Israel off the map' and thus may use these alleged nuclear weapons on Israel. First off, there is no evidence that Iran at present possesses nuclear weapons (paragraph 3). And when presented with the fact that Israel itself has nukes and unlike Iran, has refused to sign on to the nuclear nonproliferation treaty, the Israel-defenders then claim that Israel does not threaten to wipe anyone off the map. Let us assume for a moment that Iran in fact has threatened to wipe Israel off the map, which is a matter of contention. That is correct, Israel does not ~threaten~ to wipe anyone off the map - Israel JUST DOES IT. 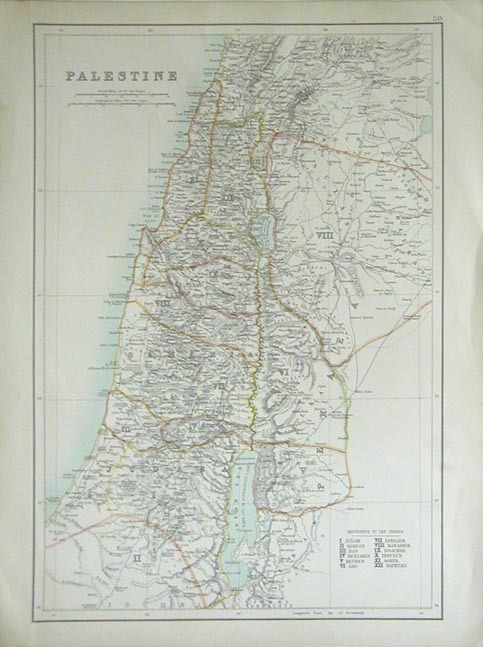 If one looks at a map from a hundred plus years ago (1870 to be exact), there was no Israel. In its place was a nation-state or region (or whatever you want to call it - the Israel-defenders will bog you down with the semantics of this) called Palestine. Where is it now? Why is it gone? In its place, there is now a nation called Israel. How did it come to be? What happened to all the people that were living there at the time? Between 1947-1948, Jewish forces seized the land and expelled 700K+ Palestinian Arabs from the areas. The Arab villages were then bulldozed, and renamed. The Arab refugees, despite UN resolution 194 (section 11), were never allowed to return to their homes/villages, nor were they compensated thereof. Palestine was wiped off the map in 1948 when Israel declared nationhood in its place, leaving a few remaining territories that Egypt and Jordan managed to get a grip on back then (Israel in 1967 then grabbed these territories in the Six Day War and has been building more Israeli settlements therein ever since). The newest maps of Israel prove without a shadow of a doubt that not only are the surrounding Arab nations not even remotely 'pushing the Jews into the sea', -or realistically threatening to (another myth) - but that Israel itself has pushed the remaining Palestinians further and further into ever-shrinking enclaves. Exhibit B is the damage Israel inflicted during the 2006 Israel-Lebanon war whereby Israel destroyed Lebanon's civilian infrastructure, nearly taking down the country, as a response to the abduction of two IDF soldiers by Hezbollah. The carnage was so grave it prompted this response from Pat Buchanan at the very end of this you tube video on MSNBC's Chris Matthews show, and it also prompted neocon Michael Savage to severely chastise Israel - and that's saying something. For, Savage's true nature is slowly being revealed as a stoolie for the neocons (Israel's amen corner). Israel, fired off thousands of cluster bombs into Lebanese civilian areas three days prior to a ceasefire which they knew was coming. They have since refused to provide the UN with maps pinpointing the areas (paragraph 7) into which they fired. People are still dying from the million cluster bomblets that were rained down upon agricultural areas and neighborhoods. Why did Israel refuse to provide the maps? Because it would likely prove without a doubt that they deliberately fired into civilian areas. That doesn't begin to describe the damage to roads, bridges, schools and civilian life that Israel inflicted upon Lebanon during that conflict. So, when the Israel-firsters come at you with some of these myths, and there are many, and I have some pretty good responses to most of them, let the facts be known. Israel wiped Palestine off the map, and, for all intents and purposes, damn near wiped Lebanon off the map in 2006. This is a nation in violation of more UN resolutions than Iraq under Saddam Hussein ever was (blatant hypocrisy), and one that continues to violate several UN resolutions almost daily by continuing to build civilian housing in occupied Palestinian territory, and overflying Lebanon in violation of the ceasefire. Now don't get me wrong, I have no love for Iran. Frankly, I don't give a damn. My concern is for the ONLY COUNTRY I'VE GOT - America, and the fact that Israel and its minions here in the US want to drag my nation into war with Iran. Such a move is not in the best interests of America, a fact that Gates, Mullen and others at the Pentagon already know. Frankly, I don't give a damn about Israel either or any threats she faces. My country isn't doing so hot right now, and any policy that benefits another nation to the detriment of this one is not something I'll ever support. I pledge allegiance to America and no other. And I won't apologize for it. My country - and the interests of the majority therein - must come first. Several years ago, when I started this website, I only had a few prominent folks on my side (Pat Buchanan as one example) - who thought what I thought (on foreign policy) and who wrote it down for all to see. Now, there are so many others speaking out. In particular, several former CIA (see a few paragraphs down). I encourage any and all officials - both in office and out - to come forward and speak out against Israel and its overwhelming influence in the United States by way of its powerful lobby. It may literally save this country. And a big thanks to those that HAVE spoken out. I consider you all right on par with the founding fathers of this nation. It takes a lot of courage to do so. The lobby will try to tear you right down for doing so - its latest victim Philip Giraldi, one of my favorites. Please don't let it deter you. Soldier on. 08/16/08 - This week two former CIA officials - Philip Giraldi and Michael Scheuer - described the efforts of Israel's lobby to get America to attack Iran. 6-19-08 We lost one of the good guys - Capt. Ward Boston. RIP. 10/2007 - The Israeli lobby is scattering in all directions lately. It's palpable. We are making a difference. But it takes more than just a few people; there is strength in numbers. If you care about this country, you'll speak up sooner, rather than later. The good guys are winning, but we can't rest or stop now. It is up to us ordinary citizens to act since our government fails or refuses to do so. 'Why me?' Well why not you? Imagine if our 'rebels' took that attitude in 1776 (and if you need to get jazzed, buy that video), we may still be kowtowing to the British crown.... Soldier on. The single underlying theme with respect to Palestine, the neoconservatives and the USS Liberty is that the vast majority of those on Capitol Hill, and those in and around other areas of government, have suborned the interests of this nation in favor of another. That is a real problem, to say the least. The influence of the Israeli lobby on the US Congress and particularly on the current administration (via the neocons in the office of vice president) has had adverse effects on the American national interest. Our foreign policy is being crafted and pushed forward by a foreign interest. The Israeli lobby deems such claims as the furtherance of 'anti-Semitic canards'. But in the pages of the most respected Jewish news outfits, this influence is admitted and openly discussed. The power of the Israeli lobby is manifest in the lack of action with regard to the case of the USS Liberty. And more recently, the case of Rachel Corrie. No action was taken by the US government with regard to either case. Israel's version of events was accepted as fact. Eyewitnesses, some US (military), were dismissed outright. For years, most Americans, including American politicians, have been cowed into silence and have refrained from criticizing this lobby. However, recently, things are starting to change. Jimmy Carter's book Palestine Peace Not Apartheid, and a report by two well-respected professors, have gained the attention of the lobby who are now seeking to double their efforts to counter these condemnations. I will attempt to make the case that not only does this lobby exist, but that the fruits of its labor has endangered the security of America. Much of this case was made in the paper by Walt and Mearsheimer. They have a book out this September that evidently offers more details on this topic. There is also a book entitled They Dare to Speak Out which was written in the early eighties by former Republican Congressman Paul Findley. George Washington warned of the perils of foreign entanglements in his Farewell Address. He had remarkable foresight. For, we are in that very situation right now. The invasion of Iraq was put forth and the case thereof was propounded by another part of the Israeli lobby: the neoconservatives. These neocons are evidently not done yet. The first incident to research is the case of the USS Liberty. You can buy this DVD from the History Channel. There is also this clip from the BBC's "Dead in the Water" (lower right of the page). This article by the Chicago Tribune of 10-02-07 finally puts to rest the lie that this attack was an accident. In fact, it was Israel's intention to sink that ship, killing all aboard. That our government does nothing in the face of the continual pleas for justice by these sailors is a testament to the power of the Israeli lobby. If I were in government (and elsewhere) and I saw folks that were forsaking the national security of THIS country for that of another, I would leak it to the press, I would come forward, I would not shut up about it. Ask yourself: what would Ben Franklin, Thomas Jefferson, George Washington, etc, do if in that position? Those that have already come forward have earned the same respect and honor afforded to the latter, as far as I'm concerned. and the plight of a once largely agrarian people to be allowed to live on their land, in liberty. On any given day, any one of the above might outweigh the others. On this day, this is the motivating force - a very powerful piece of imagery. Either you get it or you don't; an entire group of people punished, dehumanized, humiliated, and reduced to paupers - thanks in (large) part to our support of Israel - they couldn't do it without us. For 5+ years now, this is my cause: liberty and justice, and perhaps some hope of the return of dignity to a once self-sufficient and proud people who have been made to pay for the sins of another. With respect to our foreign policy in the Middle East, the question that should ever be asked by us ordinary Americans of our representatives in Washington is this: How is this policy in AMERICA'S best interest? So, likewise, a passionate attachment of one Nation for another produces a variety of evils. Sympathy for the favourite nation, facilitating the illusion of an imaginary common interest, in cases where no real common interest exists, and infusing into one the enmities of the other, betrays the former into a participation in the quarrels and Wars of the latter without adequate inducement or justification: It leads also to concessions to the favourite Nation of priviledges denied to others, which is apt doubly to injure the Nation making the concessions; by unnecessarily parting with what ought to have been retained; and by exciting jealousy, ill will, and a disposition to retaliate, in the parties from whom eql. priviledges are withheld: And it gives to ambitious, corrupted, or deluded citizens (who devote themselves to the favourite Nation) facility to betray, or sacrifice the interests of their own country, without odium, sometimes even with popularity; gilding with the appearances of a virtuous sense of obligation a commendable deference for public opinion, or a laudable zeal for public good, the base or foolish compliances of ambition corruption or infatuation. Against the insidious wiles of foreign influence (I conjure you to believe me fellow citizens) the jealousy of a free people ought to be constantly awake; since history and experience prove that foreign influence is one of the most baneful foes of Republican Government. But that jealousy to be useful must be impartial; else it becomes the instrument of the very influence to be avoided, instead of a defense against it. Excessive partiality for one foreign nation and excessive dislike of another, cause those whom they actuate to see danger only on one side, and serve to veil and even second the arts of influence on the other. Real Patriots, who may resist the intriegues of the favourite, are liable to become suspected and odious; while its tools and dupes usurp the applause and confidence of the people, to surrender their interests. "I've never seen a president - I don't care who he is - stand up to them [the Israelis]. people understood what grip those people have on our government, they would rise up in arms. Our citizens don't have any idea what goes on." - the late Admiral Thomas Moorer of the Joint Chiefs of Staff. It's up to us ordinary citizens to do what our government fails or refuses to do: to uphold the ideals that were envisioned by our founding fathers - to stand up for justice. It is never wise to underestimate the power of the American spirit. Somebody did that once. ONCE.